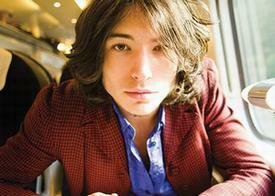 NEW YORK, New York, March 25, 2013 (ENS) – Film star Ezra Miller will ski to the North Pole in early April to plant a “flag for the future” on the seabed, as part of a Greenpeace International campaign to protect the Arctic from industrial development. The 20 year old actor, who starred in “The Perks of Being a Wallflower,” will ski for up to eight hours a day and camp out in below zero temperatures to carry the message that the North Pole deserves to be a global sanctuary, supported by a ban on oil drilling and industrial fishing in Arctic waters. The four skiers will be supported by some 2.7 million others who have signed on to the Greenpeace campaign to create a sanctuary in the uninhabited area around the North Pole, which is melting rapidly due to climate change. The Greenpeace team will ski to the North Pole to lower a special flag to the seabed 4.3 kilometers (2.67 miles) below the surface. Attached to the flag will be a special glass and titanium pod that contains over 2.7 million names of people who support the campaign, including bands such as One Direction, Radiohead and the Red Hot Chili Peppers; musician Paul McCartney and his daughter, designer Stella McCartney; musicians Bryan Adams, Annie Lennox, Gene Simmons and Jack White; and film stars Ben Affleck, Penelope Cruz, Cameron Diaz, Hugh Grant, Daryl Hannah, Woody Harrelson, Jeremy Irons, Jude Law, Edward Norton and Robert Redford, among others. The flag’s design was chosen by fashion designer Vivienne Westwood as part of an international competition, and is intended to symbolize global unity and peace. 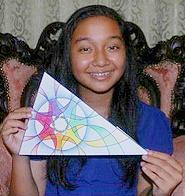 The winning flag was designed by a 13-year-old Girl Guide from Malaysia, Sarah Batrisyia Binit Mohammed A’Reeff. Over 1,400 young people from 43 countries and between between the ages of six and 26 submitted entries over a three-month period. Miller recently completed a training course in Montreal, Canada, which required him to pack and drag a sled containing over 170 pounds of equipment, as well as learn to melt snow to cook freeze dried food, among other wilderness skills. Miller will be joined by three young people with connections to the Arctic. Renny Bijoux is from the Seychelles, an island nation which could disappear due to rising sea levels. Josefina Skerk is from the Indigenous Sami community in Sweden and a member of the Sami parliament. Kiera Kolson is a Tso’Tine-Gwich’in woman from Denendeh, Canada. As a songwriter and spoken-word artist, she works to protect the Arctic and defends the rights of indigenous peoples. In February, the participants from the Seychelles, Canada, Australia, United Kingdom, Sweden and Norway gathered at Fefor in central Norway to meet for the first time and learn from experienced polar guides. Together they pulled heavy sleds of equipment, melted snow to cook with and pitched their tents in -20 degrees C.
They were joined by members of the 17-person international team, including UK cameraman and underwater specialist Gavin Newman, Sol Guy, a music producer and TV presenter from Canada, and Norwegian polar guide Audun Tholfsen, who will help to guide the Greenpeace team across the sea ice to the North Pole. The team is set to meet in Norway on April 1 for training. 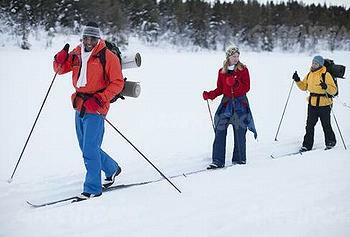 On April 5 they are scheduled to set out on cross-country skis from Barneo, seasonal Russian ice camp near the 89th parallel. The journey is expected to take four to 10 days. An actor, musician and activist from New Jersey, Miller tours with his band, Sons of an Illustrious Father, and last year contributed to the Great Sioux nations successful Save Pe’Sla campaign to preserve a sacred site in the Black Hills of South Dakota.